For some reason this seemed a little more dated than the Casanova. Probably because the story is a little more traditional in the telling. The 20th and 21st Centuries have their share of picaresque reminiscences – whereas this quite linear production, where plot is the focus, is more of its time. 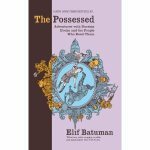 A number of issues are raised in the novella that are worth considering. The main idea that interested me was that of dueling as an arbiter of guilt or innocence. If you believe in an ordered controlled universe, where the will of God is easily seen in the world, then this is understandable. In this day and age, many Christians believe God to be bound by his own given rationality and unable to interfere in the chaos of existence. Hence, this idea that the outcome of a duel is the finger of God indicating guilt or innocence is surprising to most people. This is an extreme example, but the remains of this philosophy can still be seen today: if you are not successful in life then you have done something to offend God, again, he has pointed his finger at you. The additional materials were also well worth reading in this edition. The biographies of famous duelists were very entertaining. I can’t say I enjoyed the work as much as Casanova, but it was good, and it generated some thought. Once again, this book benefits from the added materials. As well as Casanova’s novella, we also have the excerpt from his memoirs which covers the events recounted in The Duel. 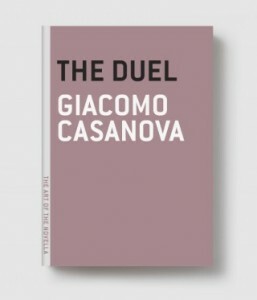 The differences between the two are intriguing, but neither are eminently reliable; both seem to portray Casanova in a overly favourable light. Much of the background to the duel was also interesting particularly his relationship with the Polish king Poniatowski. Casanova seems to have liked Poniatowski vey much, despite being banished at the novella’s end, and he describes him as a wise man, but then wonders how a wise man could have made so many bad decisions as king. Poniatowski, and his ineffectual nobility, are mostly to blame for the initial carving up of Poland in 1772. To be fair, Poniatowski did introduce many reforms but they were too late, the nobility didn’t have the support of the people, they were a dissolute bunch. The democratic nature of the Polish kingship was also unique in Europe, it seems Poniatowski was an enlightened man, which is why Casanova liked him, but he made some bad decisions and then, in 1795, it was too late. You could argue that in the modern day Komorowski and Sikorski are now doing the same, carving up Poland to outside interests for the benefit of the ‘newly-moneyed’ nobility. The statement that history repeats itself is a cliche, but it is sometimes true, motifs and actions do seem to recur. The only negative thought that crossed my mind when reading this book was the fact that Casanova’s memoir and the novella could be seen a bit like a modern non-entity celebrity tell-all tale. Except that, he actually wrote it, and it is in the literary vein of the larger than life expositions that we see from Celine and Cendrars. Casanova also did things too, he travelled about in a rakish fashion with little money but always managed to get by, he met powerful influential people and thinkers of the day (and he was a thinker himself), and argued, had duels and generally had a good swashbuckling time. So, really, it’s a bit different to Jordan. I have convinced myself. There are some interesting biographies of other famous duelists in the materials as well. A very worthwhile and pleasurable read. Now on to Von Kleist. 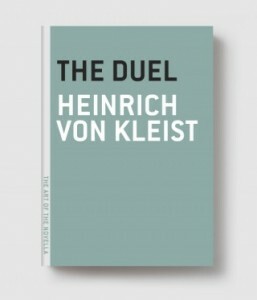 This is the first ‘The Duel’ in a series of duel novellas that I recently purchased from Melville House Publishing. It’s a great idea to collate a series of linked novels in this way. What is also very good about this set is that each book has additional materials added, which either relate to duels or is biographical – there are even newspaper reports from the dueling heyday. This extra material makes these well worth getting. Too often it seems publishers simply republish old novels with just a new introduction – there often isn’t even a new translation. Someone has taken the time to collate all this extra information and this set really is the stronger because of it. Chekhov’s Duel is an interesting novella. As I read it, I couldn’t help but keep comparing Laevsky (Chekhov’s superflous man – not to be confused with Pushkin’s, Lermontov’s, Turgenev’s and Goncharov’s) with Lermontov’s Pechorin specifically. It seems that Pechorin was railing against nothing specific – just existence, whereas in Chekhov’s Duel the the opponent was Von Koren. Von Koren was an exponent of Nietsche and Darwinism and is the mouthpiece for several of the ideas that were prevalent at this time, Laevsky, as the supposed superfluous man, is anathema to him. The strange thing is that Chekhov’s novel (written 50 years after Lermontov) feels more dated than ‘A Hero of our Time’. The structure is more traditional and you have these very clear opposing forces with a redemptive aspect at the end. The Tsar who hated Lermontov’s novel would have been much more pleased with Chekhov’s. Lermontov’s lack of traditional structure and Pechorin’s general dissatisfaction, with unseen forces and himself, seems much more current. Included in the additional materials in Melville House’s edition is an excerpt from Lermontov and it even includes Pushkin’s short story ‘The Queen of Spades’ which is also a gripping yarn and gets better with every reread. 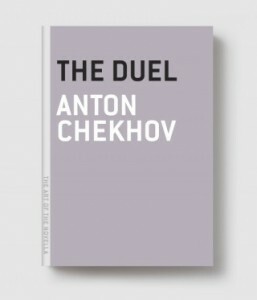 Contemplating Chekhov’s ‘The Duel’ novella, materials, and their links was very worthwhile and it really highlighted to me the greatness of Lermontov, and his only novel, whose life was cut short by a duel.